Long tunic in a combination of hand prints with embroidery highlights. Partial placket. Side slits. Beautiful kurta/tunic! The colors are rich and the handiwork is impeccable as usual.I wore this top with a black crystal necklace and earrings over formal black slacks. It was a stunning outfit. 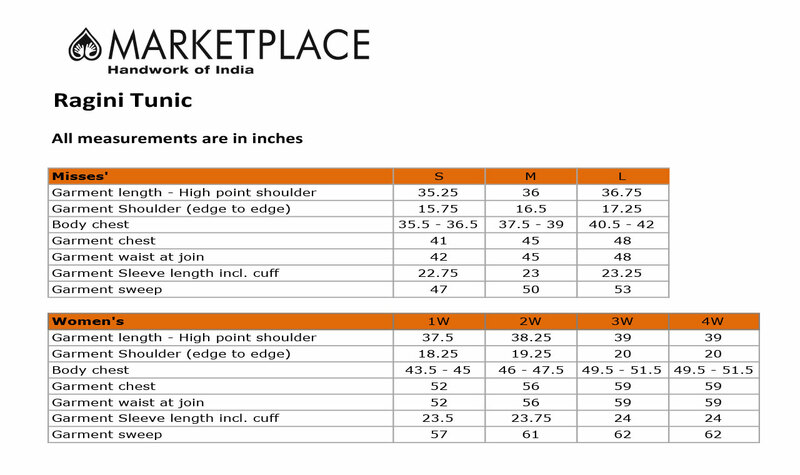 I highly recommend Marketplace India. Beautiful! The first day I wore it, one friend said " You look like a princess!"